975kg Full Pallet £312.00 (inc 5% VAT) £320 per 1000kg 65 bags, £4.80 per 15kg bag. 480kg Half Pallet £182.40 (inc 5% VAT) £380 per 1000kg 32 bags, £5.70 per 15kg bag. Individual 15kg bags at £6.50 (inc 5% VAT) £433 per 1000kg. Produced in Scotland using raw materials from FSC or Forest Standard accredited forests in the UK, Woodlets Biomass pellets offer an Energy guarantee of 4,800KWh/t of energy and are BSL (Biomass Suppliers List) authorised. 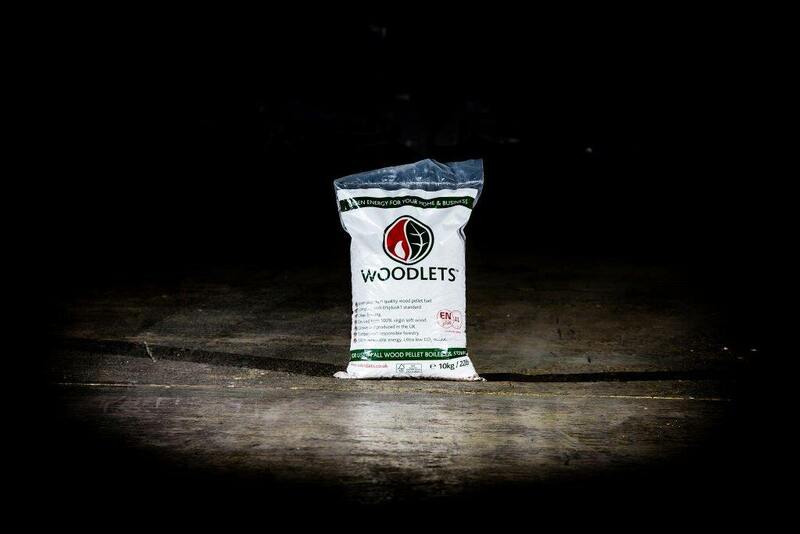 Made from 100% pure virgin wood with no additives, Woodlets Biomass pellets are extremely clean and burn exceptionally well. They can safely be used in wood pellet stoves and boilers. The raw materials are sourced from UK sustainable forests and the pellets undergo a rigorous quality control process before leaving the pelleting plant in Ayrshire. They are guaranteed to ENPlus A1 standard. 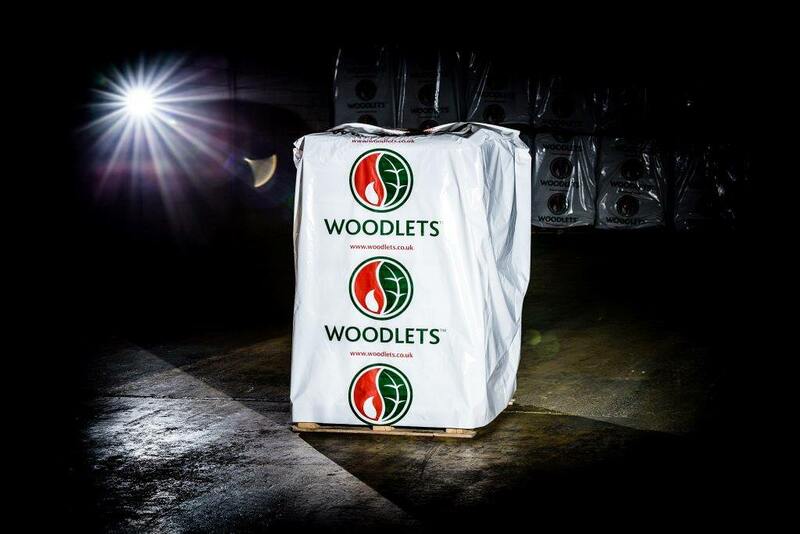 The Log Company are proud suppliers of Woodlets, the UK’s leading brand of super-premium grade 6mm Biomass wood pellets, suitable for both stoves and wood pellet boilers. At The Log Company we pride ourselves on only supplying the very best and we believe that Woodlets pellets live up to our high standards. 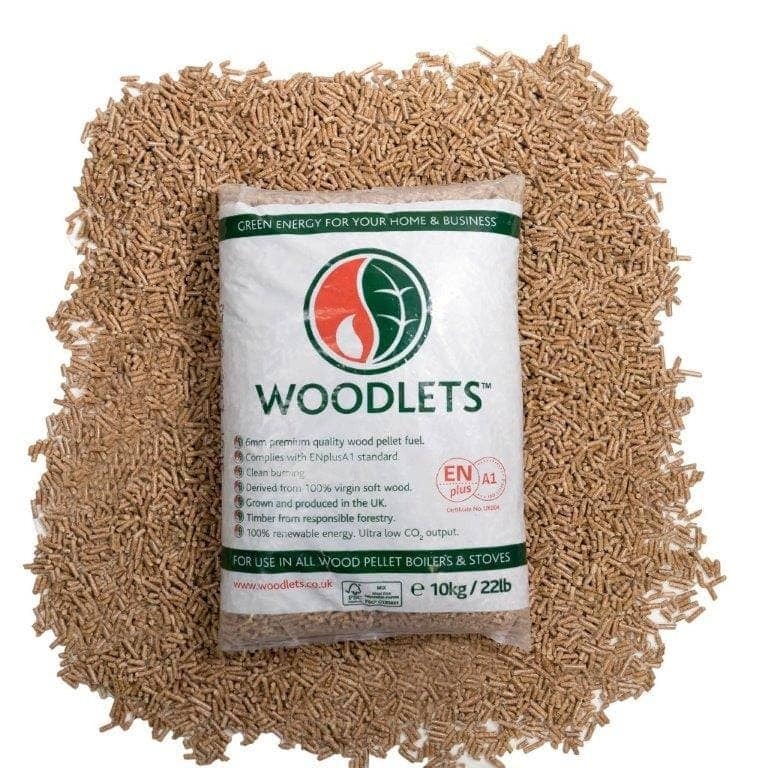 We deliver Woodlets Biomass pellets in full or part pallets of pre-packed 15kg bags. Each full pallet contains 65 x 15kg bags. The 6mm pellets have been heat sealed into the bags which means they are protected from the elements and both sizes are easy to lift and store. From 5th October 2015, households, businesses and other organisations which claim the Renewable Heat Incentive (RHI) must use fuels that are BSL authorised, Woodlets pellets are ideal for anyone claiming RHI. Free local delivery on the day of the week that we deliver to your area. Enter your postcode at the checkout to check and choose a date. Cost – Free. Express 48 Hour nationwide delivery using our pallet service provider (access for an 18 tonne lorry required). Cost – £25 per pallet. Express local/regional delivery using our vehicles. Either 4×4 pickups and trailers up to 2,625kg (175 bags) per load or vans with up to 1455kg (97 bags) per load. Cost – please contact us for a quote and our best timescale.